Lunar New Year is celebrated all around the world, not just by the Chinese, but also the Vietnamese, Koreans and other cultures who follow the traditional lunar calendar. What they all have in common is that the festive season is a time of feasting and reunions. Here, we uncover some of the most interesting stories behind the favorite New Year snacks from around the world. The Hokkien treat Bak Kwa, literally meaning "dried meat," originated from China's Fujian province and is synonymous with Chinese New Year. As poverty was widespread in the past, the consumption of meat is a luxury and only kept for special occasions like a New Year's celebration. These succulent barbecued meats are often dipped in a sugar and spice marinade before being air dried and roasted over charcoal. A sweet treat with a Nonya origin, the pineapple tart is a staple and the poster child of any Chinese bakery around New Year. These tarts are made by grating fresh pineapple and then slowly cooking it over a low fire until caramelized. The chewy pineapple is then either placed on top of a scallop shaped buttery pastry or molded to be encased within. 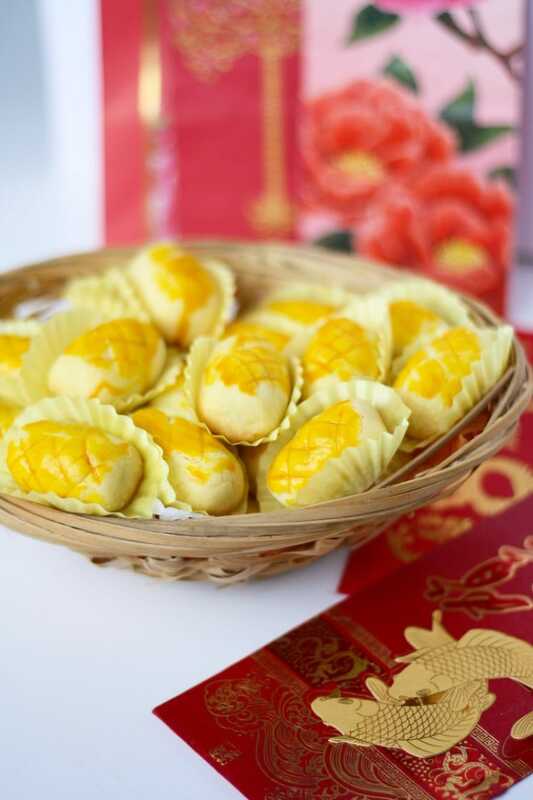 The pineapple has a significant meaning in Hokkien, as it literally means the “coming of fortune.” This pastry is thought to bring prosperity and luck to whoever consumes them, typically served to guests or delivered to families, friends and important business partners. Out of all the Chinese New Year goodies, the love letter is definitely one of the most poetic. Back in the day, these romantic pastries were often used by lovers to relay messages of affection, and the consumption of the pastry would mean that the message is taken to heart. These pastries are truly a labor of love, made by pouring a thin layer of batter on an iron mold before getting baked over charcoal. It is then quickly taken off the heat and rolled up into a cylindrical shape. Also known as Kuih Kapit, these delicacies are thought to be inspired by traditional Dutch waffles. The Malay and Peranakan community adopted this recipe and localized the snack with ingredients such as coconut milk and rice flour. Like most Nonya dishes, the Kueh Bangkit is one intricate cookie. Meaning "to rise," the name was derived from how the cookies would rise during the baking process. These melt-in-your-mouth delights were originally used for ancestral worship. Depending on the texture and recipe, flours like arrowroot, tapioca or sago are used alongside ingredients like coconut milk and pandan. 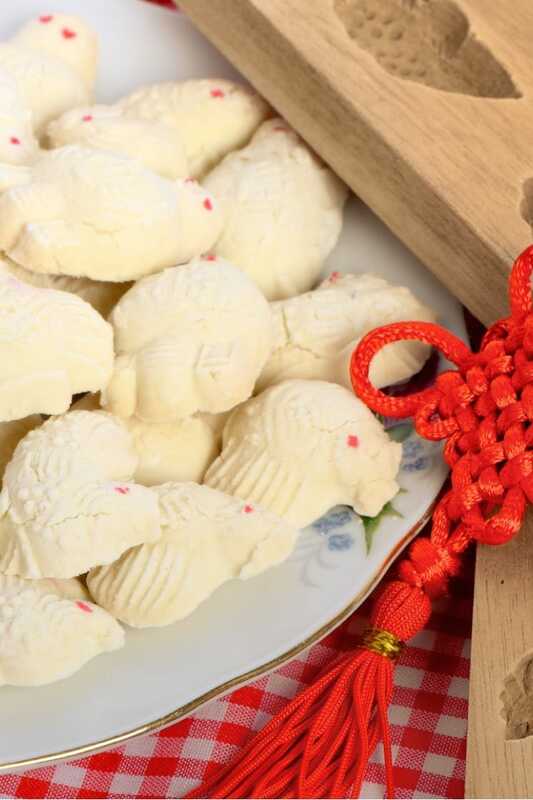 These cookies are then molded into various shapes and take on different meanings; the chrysanthemum symbolizes good fortune, while goldfish-shaped cookies mean prosperity. Aptly-named due to its resemblance to its namesake, the honeycomb biscuit is a common sight in Southeast Asia during the festive period. In Malaysia, it is also called kuih loyang, meaning "brass cakes," of which brass molds were used to impart its iconic pattern. This seemingly Asian pastry was actually influenced by the Rosette cookies from Scandinavian countries like Sweden and Norway. Coconut milk is used in the Asian version, on top of flour, sugar and eggs. And as you might have guessed, consuming this dessert symbolizes a sweet year ahead. 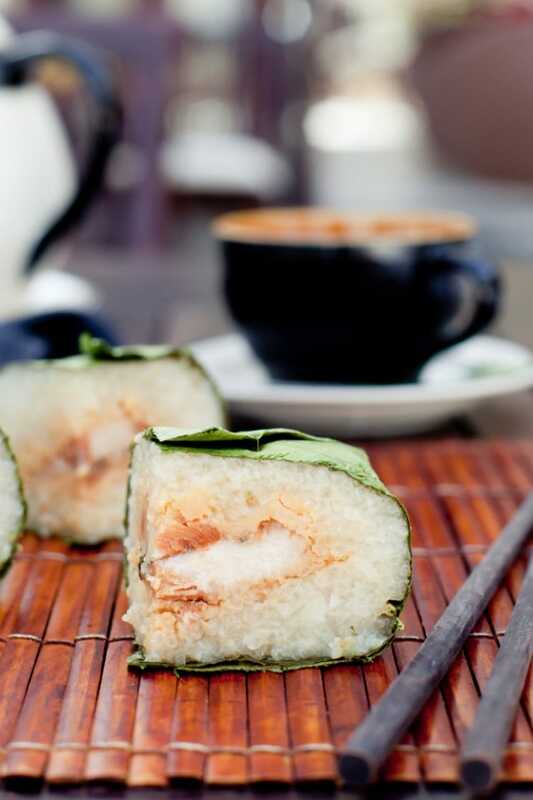 The Vietnamese celebrate the coming of spring with none other than the Banh Tet, a glutinous rice dish made with mung beans, pork fat, sliced pork and shrimp, that is mixed with spices and then wrapped with banana leaves. This central dish of the festivities is thought to be strange to some as it literally translates to "split packages." However, the true meaning behind this dish is to actually promote close family ties. Making this treat can be time-consuming, so it provides the family a perfect bonding session to welcome the New Year. The Yaksik is a sweet, glutinous rice mixed together with chestnuts, pine nuts and jujubes, and often seasoned with honey, cinnamon, sesame oil and soy sauce. The story goes that, as an ancient Korean King intended to go on a journey, he was alerted by a crow of an impending revolt. The King’s life was thus saved and we have the crow to thank for this delicious New Year food. Yakgwa is a deep-fried Korean confection made of honey, sesame oil and wheat flour, and is traditionally enjoyed on Chuseok, the Korean New Year, as well as various festive dates throughout the calendar year. "Yak" is a common word among Korean snacks and the reason is simple—these foods contain honey, often used as medicine due to its antiseptic properties. That is why many foods that contain honey has the word "yak," the Korean word for medicine. Yakgwa is highly regarded by the upper-class society and royalty due to the use of wheat, a cherished ingredient in the Korean culture, as well as the honey. It was once made in the shapes of animals and birds, but as the years progressed, bakers found it easier to store when made into a flat coin shape. After all, health is wealth. 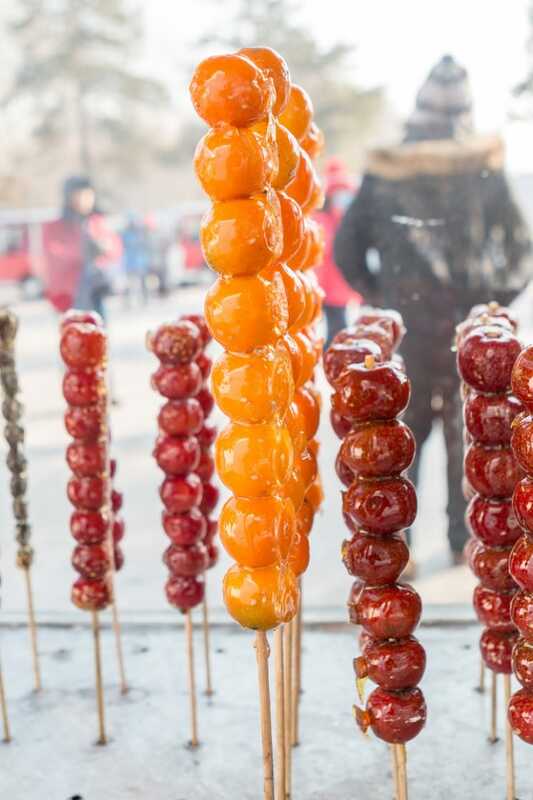 Bing Tang Hulu—or, simply sweet hawthorn on a stick—is a famous Beijing street snack that can be found almost anywhere on the streets. The story is as follows: During the Song Dynasty, one of the Emperor’s imperial consort fell ill. The Emperor then summoned all the physicians to save her ailing health. It was one particular physician that was able to diagnose the problem, recommending the consumption of hawthorn. Following the prescription from the doctor, the consort was fully recovered. This good news spread among the public and has since became a popular snack. It also symbolizes happiness and family reunion.